We recently visited Nairobi City Council to conduct a MetroCount training session. 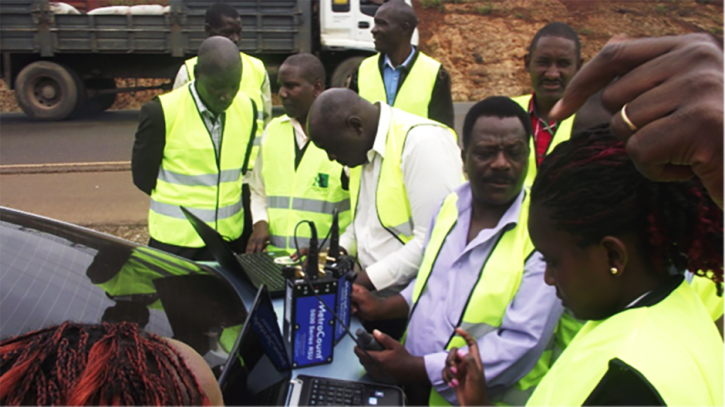 The goal of this meeting was to expose Kenyan traffic engineers to best practises in traffic monitoring. Similar to Nigeria, in Kenya up to 13 000 people lose their lives each year in road traffic accidents. According to a 2013 WHO study, most of these people are vulnerable road users - pedestrians, motorcyclists, and cyclists. As these countries' economies continue to grow, the number of vehicles is expected to rise "from 8m today to 40m by 2020" (The Economist). Both Nigeria and Kenya are working towards improving their traffic infrastructure efficiently and safety and traffic monitoring is playing a key role.